The #colorize_OK series (“Design Inspiration | Colorizing OKC”) was originally a personal project as I re-explore Oklahoma City with a pair of candy-colored lens. Several Oklahoma landmarks represent personal milestones since moving here from an island country of Singapore in Southeast Asia. I have grown to love this state and proudly call her my second home. A friend even gave me an enduring term once; Okieporean (Oklahoman + Singaporean). 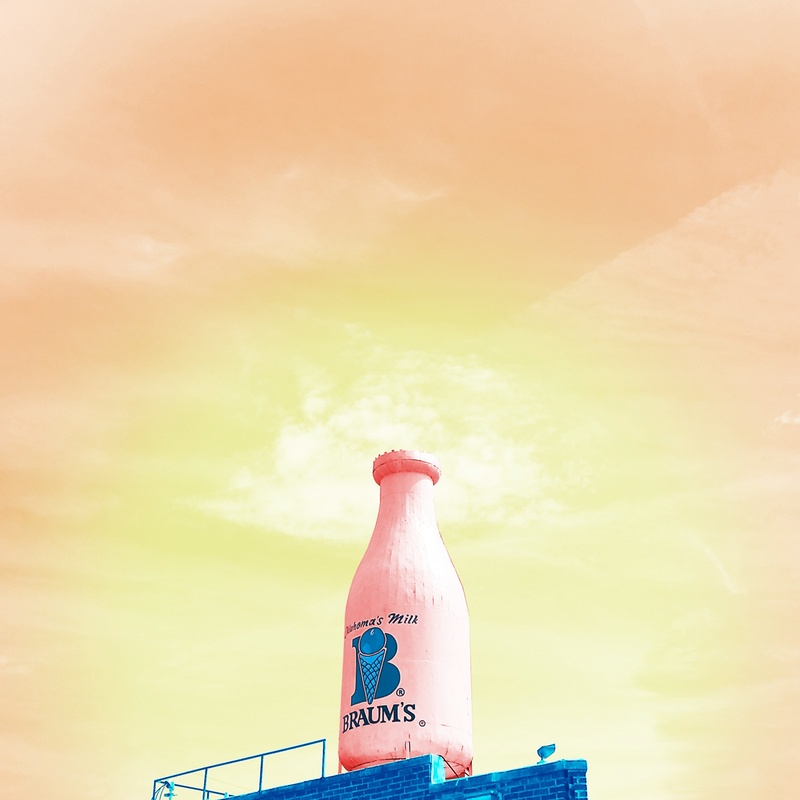 The historic Milk Bottle Building was the first landmark that caught my attention since it is very near to my Alma Mater Oklahoma City University along NW 23rd Street. It used to be a Vietnamese sandwich shop; great for a delicious and inexpensive meal for college students. 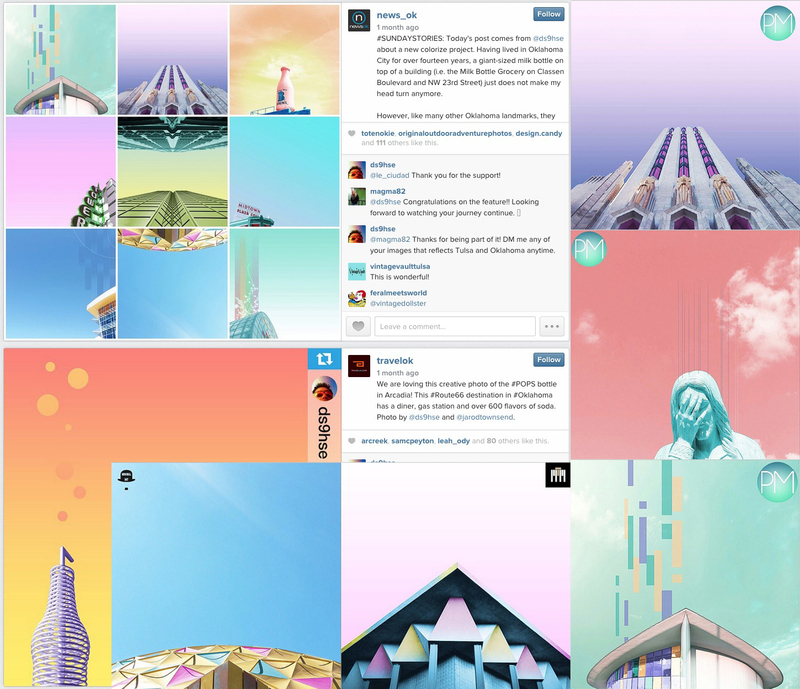 Candy minimalizing is a style inspired by a fellow grammer Matt Crump, where hues are changed in images to create a surreal and summer-like vibe. The object of interest (eg. building, trees, etc.) are also usually set against a candy-colored negative space. 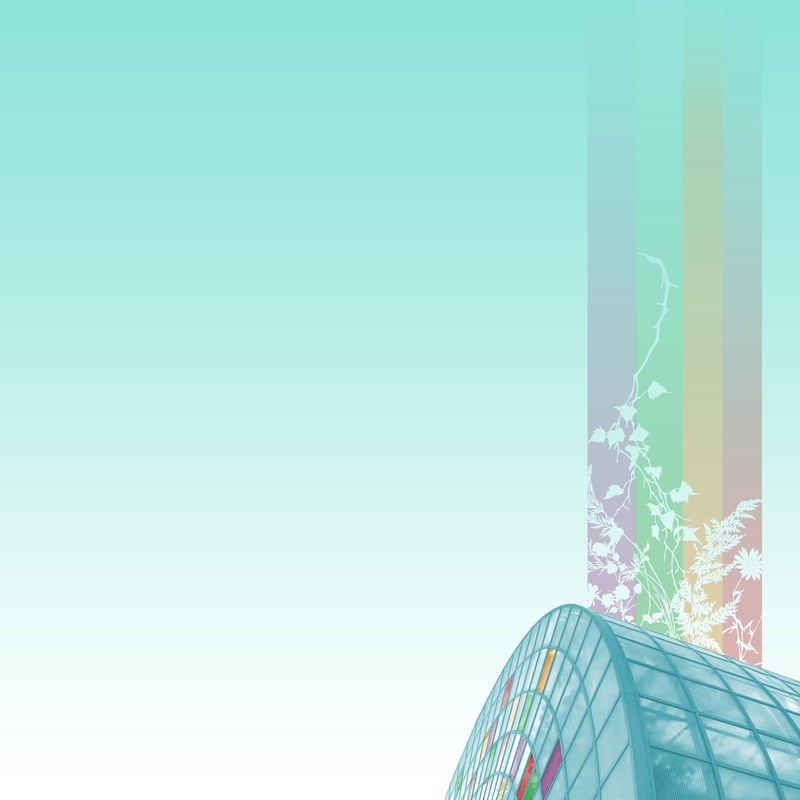 The Crystal Bridge, a green house at the Myraid Botanical Gardens is also another iconic landmark. I got a chance to witness the changes surrounding this garden in the heart of Downtown Oklahoma City since 2000. 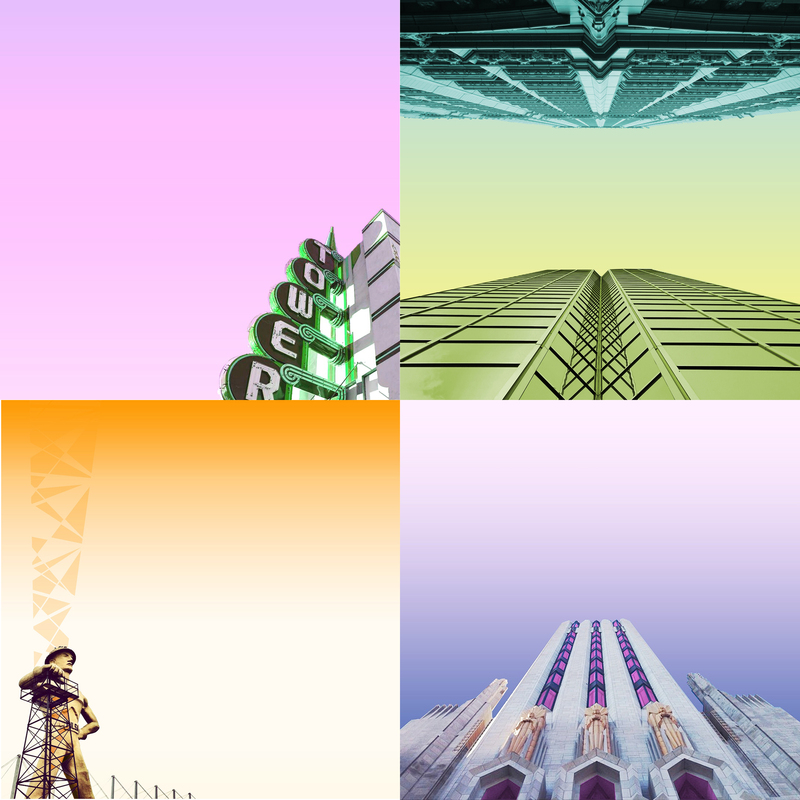 Inspired by Matt’s style, I started capturing familiar landmarks and infrastructures while adding some graphical elements to my images (like the one above) when I see fit. Besides being a channel for creative expression, Instagram has also allowed me to connect with like-minded people locally and all over the world. This series became an obvious opportunity to collaborate with local grammers. It is my hope to connect with more Instagrammers in Oklahoma to colorize our state (#colorize_ok) so that the greater Instagram community can see Oklahoma through the lens and edits of local grammers.